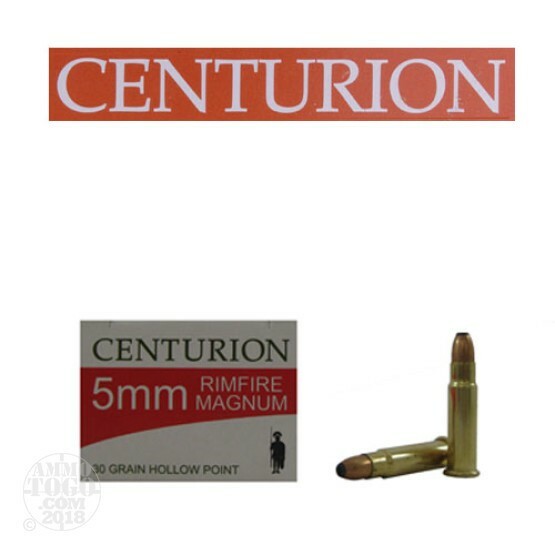 This is 5mm Rimfire Magnum Centurion 30gr. Hollow Soft Point Ammo. This ammo is manufactured by Aguila for Centurion. It is premium quality current production ammo that is brass cased and non-corrosive. This is the first time in many years that this ammo has been available, especially at this price. This ammo is packed in 50rd. boxes, 500rds. per case.